AMSTERDAM, Jan 24 — At 130 years old, one of Vincent van Gogh's famous paintings of sunflowers in a vase has become too delicate to keep touring the world and will have to stay at home in Amsterdam. That's one of the key findings of experts conducting a six-week assessment and restoration of "Sunflowers," painted by the Dutch master in southern France in 1889. 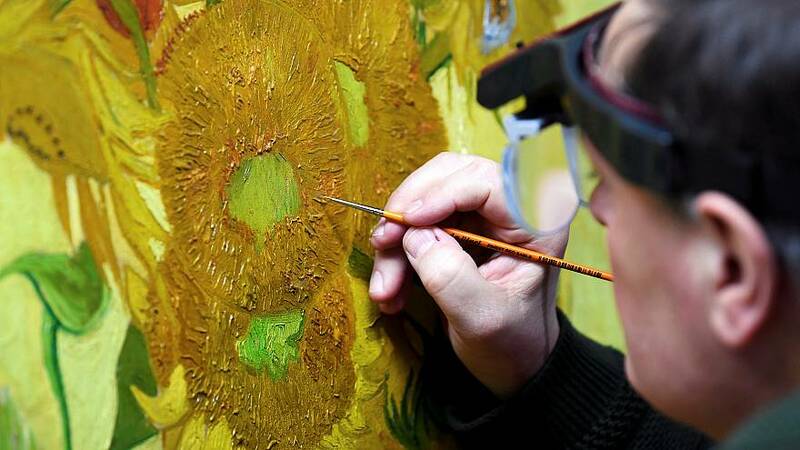 "The base and paint layers are stable, but sensitive to vibrations and changes in air humidity and temperature," said Van Gogh Museum director Axel Ruger. "It is therefore important that the painting is moved as little as possible and that it is displayed in a stable environment," he said. They said they were now more confident Van Gogh, who painted the canvas in January of 1889, had based it on an earlier "Sunflowers" he painted in the summer of 1888, which now hangs in the National Gallery in London. In the restoration, a layer of wax is being removed, but several varnishes applied over the years — and now dirty or discolouring — cannot be removed because they have bonded with the underlying paint.